A special Scaffold Yoke that has new improved reinforcements on the molded connections on the center junction and ALL plugs to make it waterproof and extra rugged under tough field conditions. 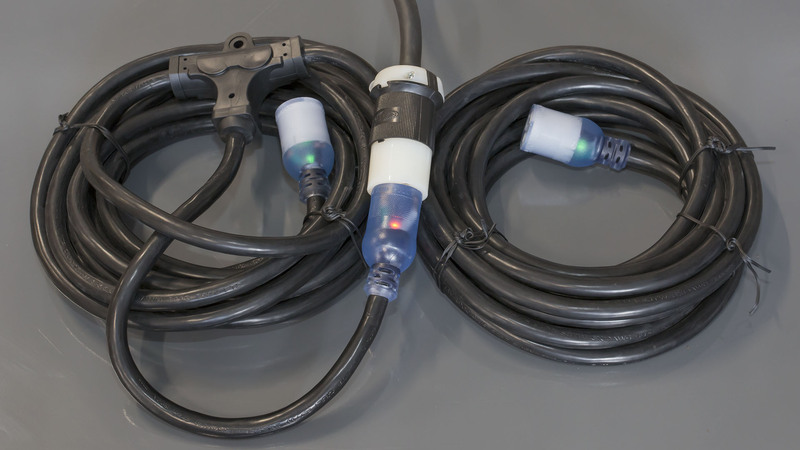 As an added bonus, 3 check lights are included inside the clear plastic base of the plugs: an amber light in the male plug to verify incoming power and a green light in each of the female plugs to confirm proper grounding of the extension cable. Specifications: 51 ft, heavy duty type 10/3 SJTW, 20A-250V plugs, -40°F Cold Weather Jacket, Water & Flame Resistant.